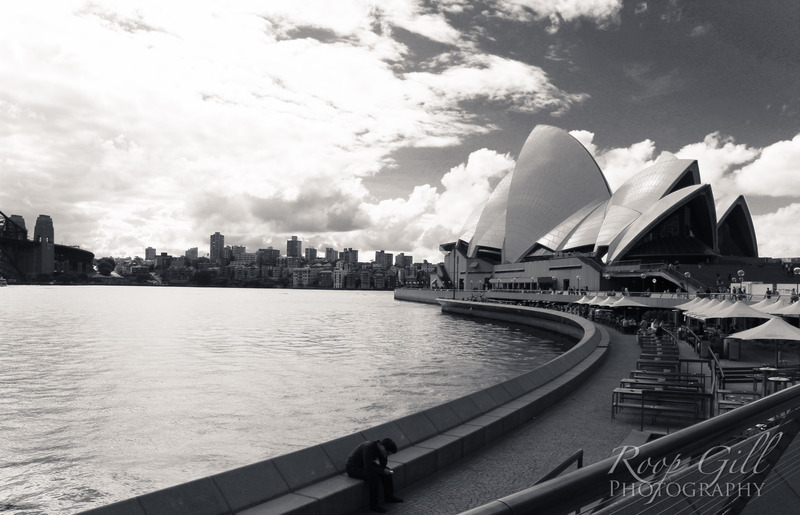 Taronga Zoo is conveniently located over a hill that looks down on the Sydney Harbour. All animals, the giraffes in particular, must love their view! 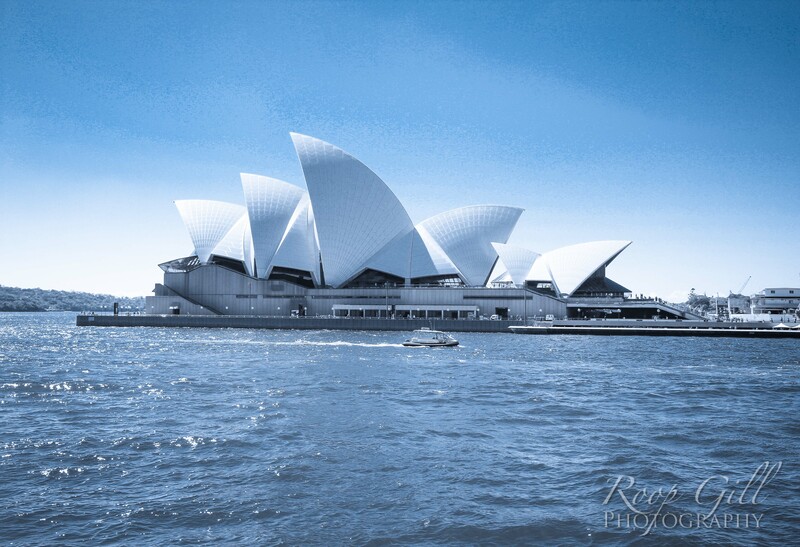 During your visit, if you are lucky enough, you might even catch an animal or two admiring the Opera House. 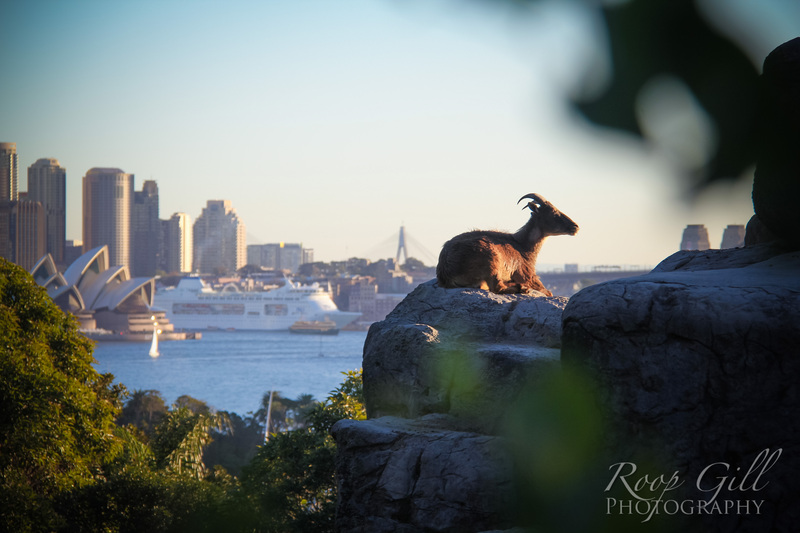 I found this mountain goat enjoying the Sydney sunset with the Opera House behind it. 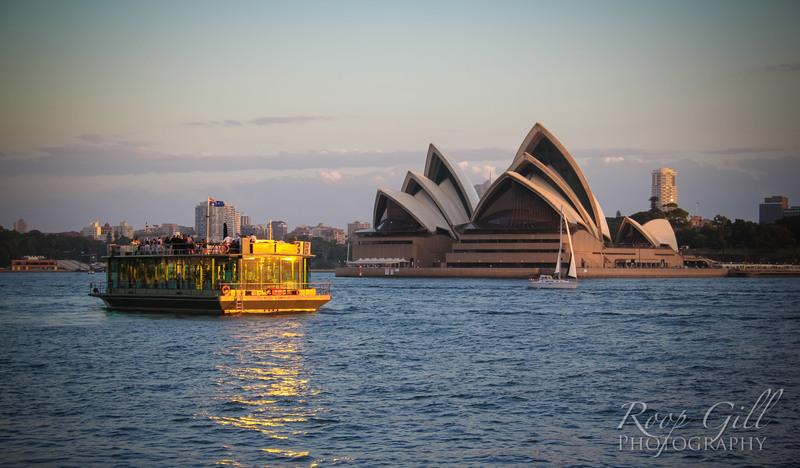 If your view isn’t obstructed by a traffic jam of other ferries, then you are a likely to catch a good shot of the Opera House as your ferry pulls away from Circular Quay. Be sure to find yourself a seat on the upper deck for this photo op! 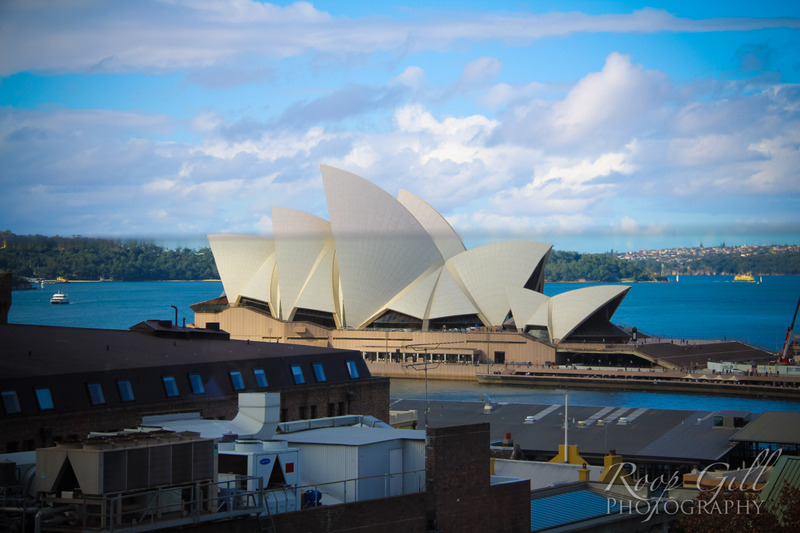 Located in the historic Rocks district, the Glenmore Hotel rooftop isn’t only the best place in the city to grab a drink, it’s also one of the best places to check out the Opera House. Sometimes the rooftop bar also gives out complimentary sunscreen bottles to enjoy the view. 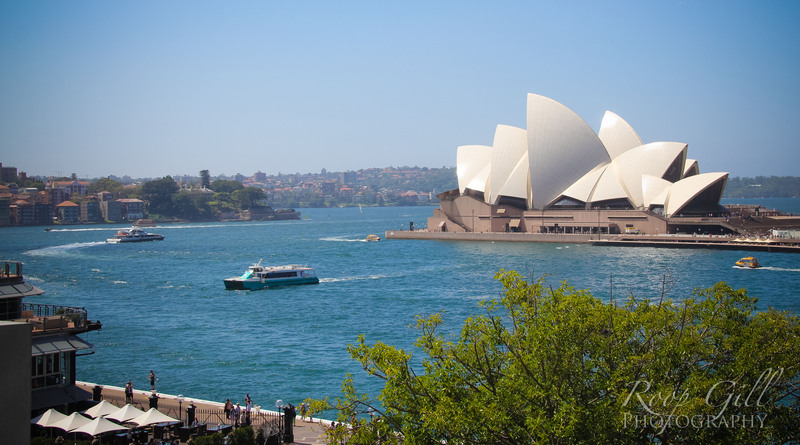 If you are on the other side of the Harbour Bridge – the North side – be sure to stop at Kirribilli Avenue, located under the Harbour Bridge, and enjoy this amazing view. There are many good reasons to visit the Museum of Contemporary Art. One of them is the fact that this is the view from their cafe’s patio. You can lean over and people-watch, and also check out that beautiful building in the background. You need a mix of skill and luck to take a photo like this. I was unlucky to have flown into the city during darkness for the first three times and blessed with an aisle seat on another occasion. The first chance I got where I had a window seat, a clear day, and flight attendants that didn’t tell me to put my camera away, I took this photo. What’s your favourite spot? Leave your thoughts in the comments below! 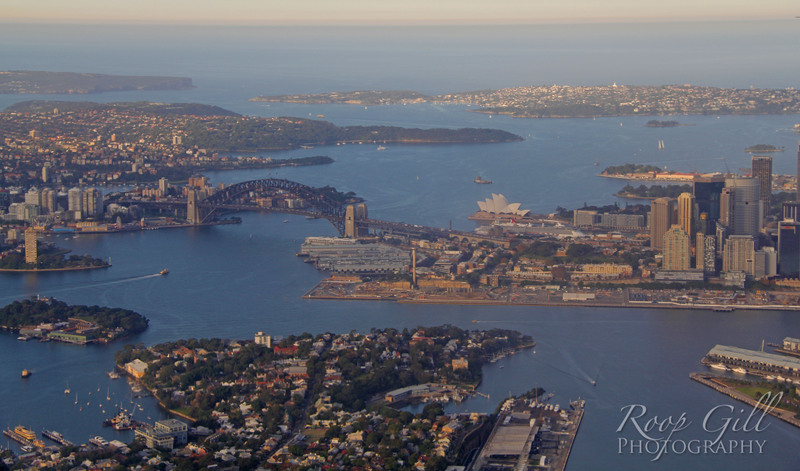 Have you seen the bridge from the pylon lookout of the Harbour Bridge?! Confession: not a fan of heights, but the pylon isn’t THAT high, right? I think my favourite one is from a ferry- I never had a problem with sightlines. Great article!